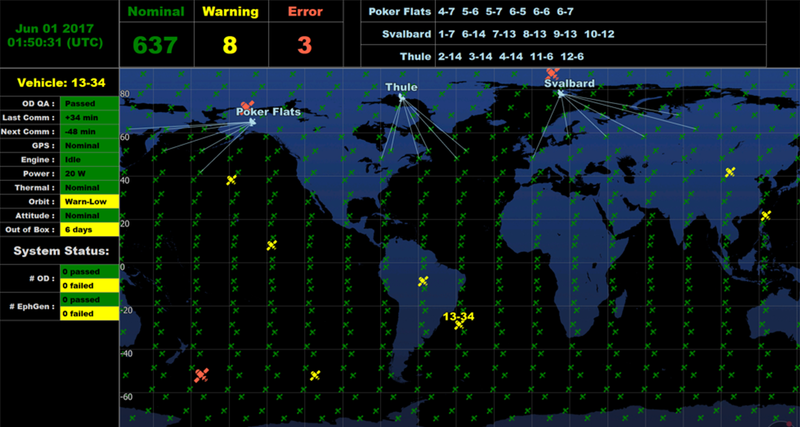 Customized real-time, 24/7 situational awareness displays, powered by the FreeFlyer® engine to meet your individual mission requirements for both GEO and LEO regimes. a.i. 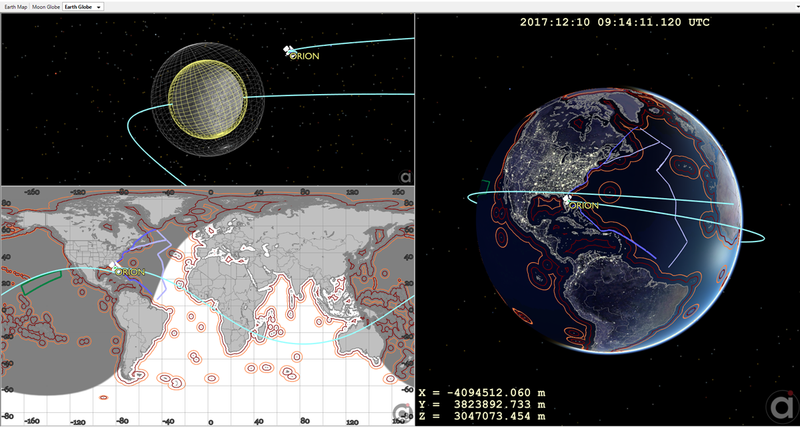 solutions is pleased to offer a unique new capability with Atlas Mission Displays—real-time situational awareness spacecraft displays powered by FreeFlyer. 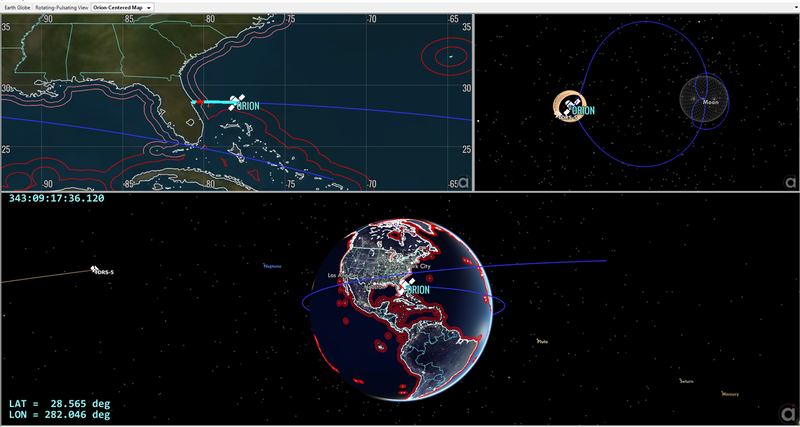 Atlas Mission Displays are customized FreeFlyer simulations that run live 24/7 in Mission Operations Centers of any size and complexity. 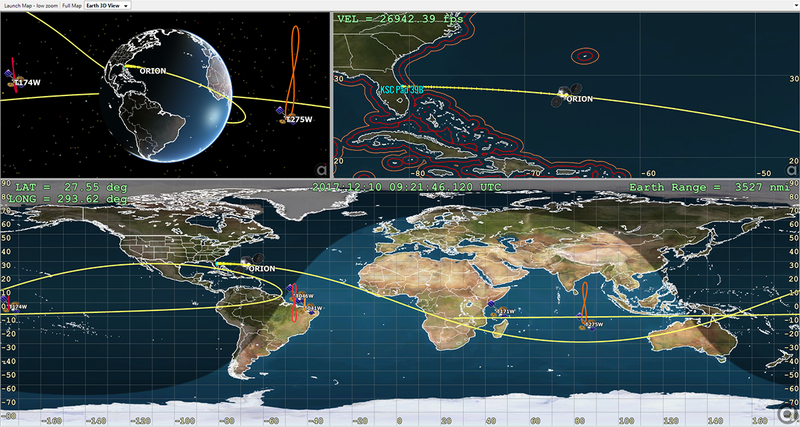 Atlas is ready to deploy, providing interactive high fidelity real-time visualizations out-of-the-box. 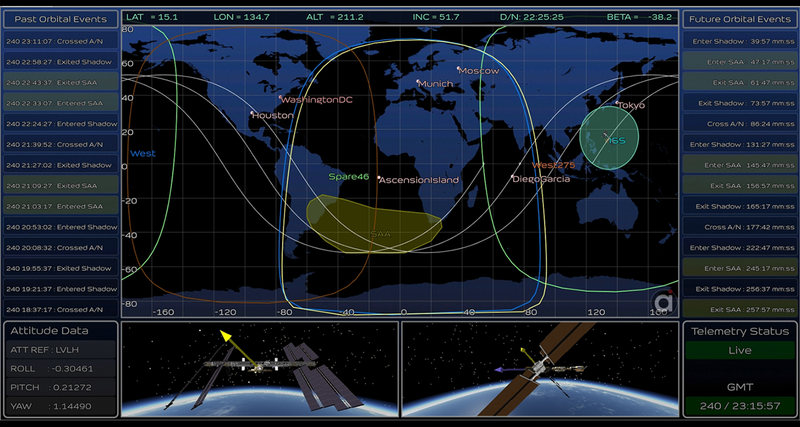 Atlas Mission Displays provide operators with high-level situational awareness at a glance. 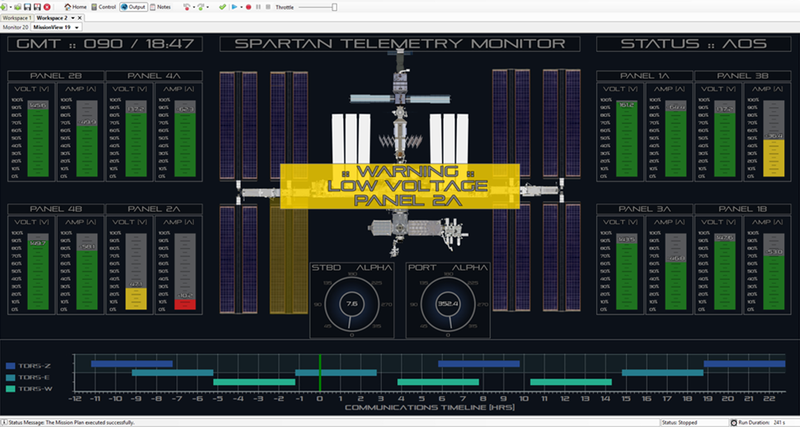 Atlas can present alert conditions, countdown to maneuvers, depict sensor coverage and contacts – it has the flexibility to meet any space mission visualization need. 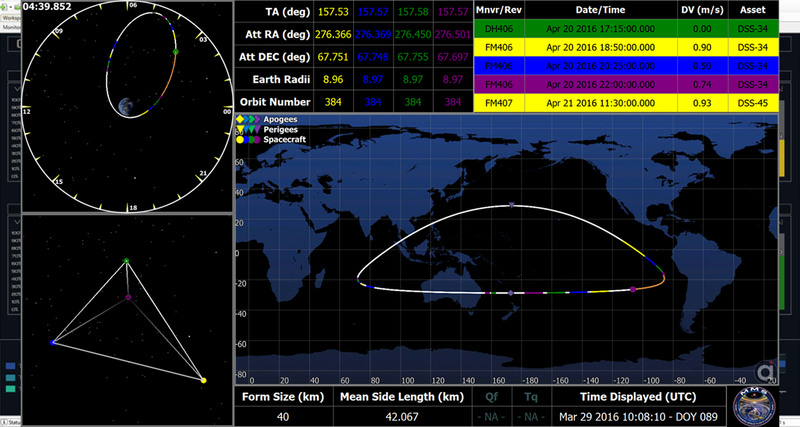 Real-time tracking of telemetry data, plots, and 2D / 3D visualizations can be presented across any number of screens in any layout, running continuously for months on end and editable on the fly. 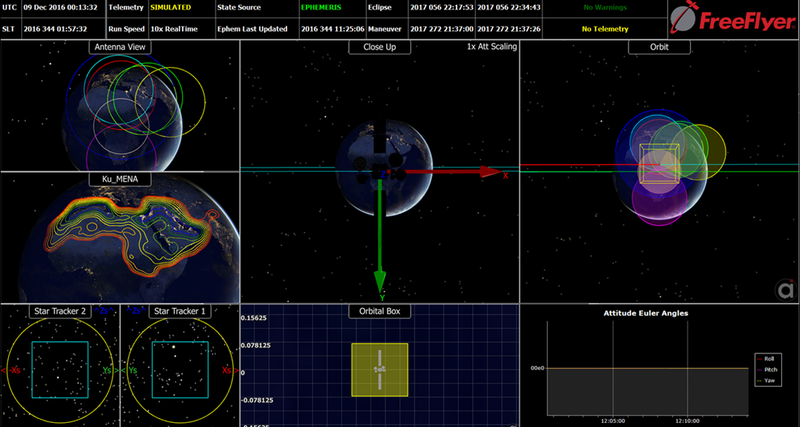 Atlas can also be run offline to play back live or simulated data for training, analysis, or promotional purposes. 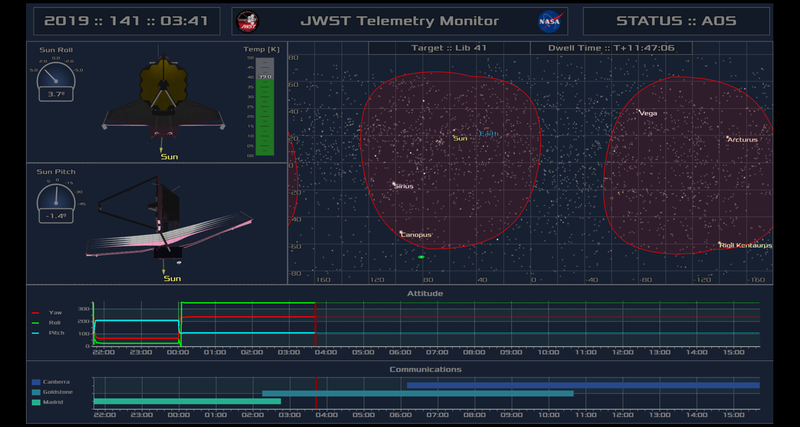 From future mission design and analysis to automated operations for tomorrow’s mega-constellations, FreeFlyer can be utilized in multiple ways to bring value to any space company or organization.